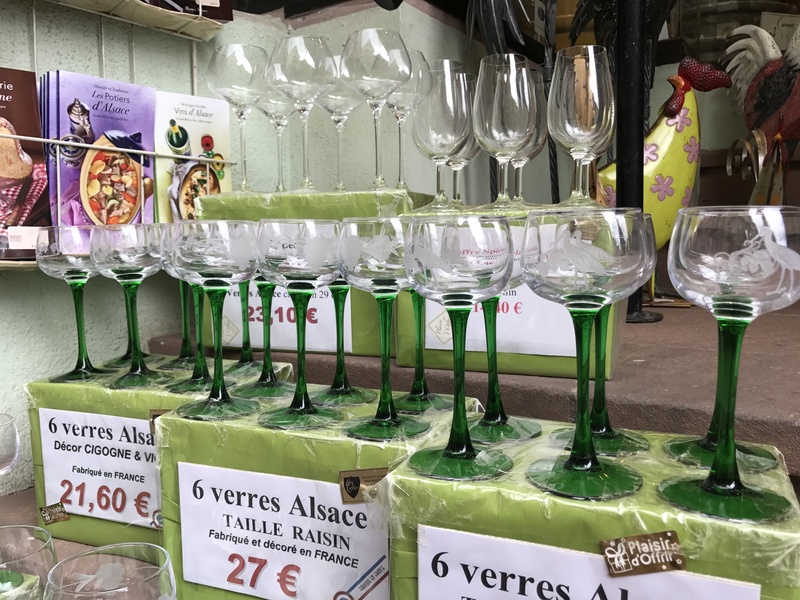 White wine is the star of the Alsace wine region, and thanks to Albaero of Ophorus Wine Tours, we spent the day tasting delicious wine in charming villages and enjoying spectacular views. 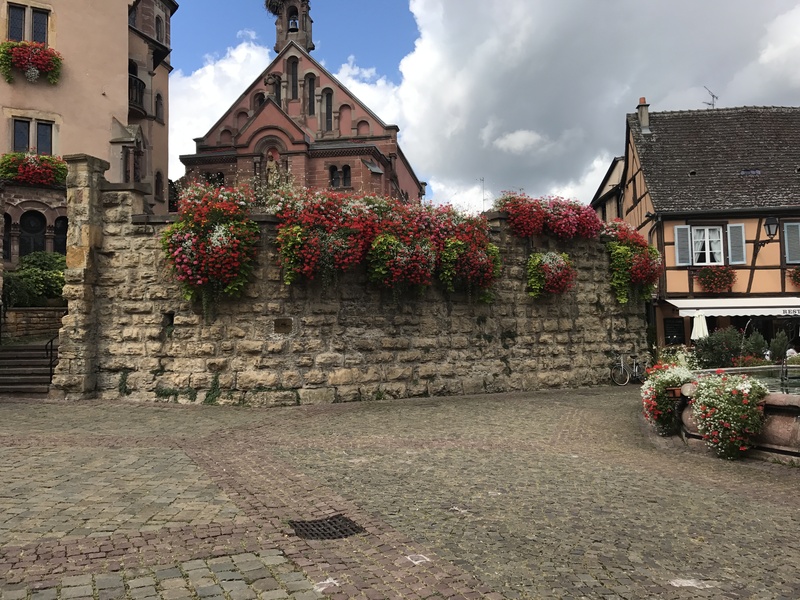 Beautiful flowers adorn villages in the Alsace region, and villages compete with each other to get 1,2, 3 or 4-flower ratings in the same way that restaurants compete for stars. 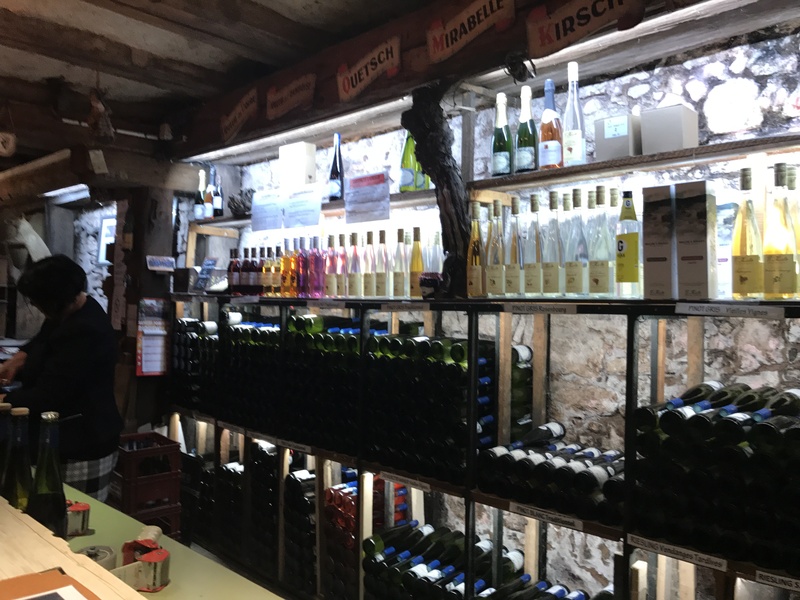 We visited wineries in the villages of Pfaffenheim, Eguishiem, Zellenberg and Riquewihr on the Route des Vins d’Alsace. By 11:30 AM we were at the Pfaff winery drinking wonderful cremant, the name for sparkling wine made in the Alsace area. Cremant is produced the same way as champagne but is often more economical. 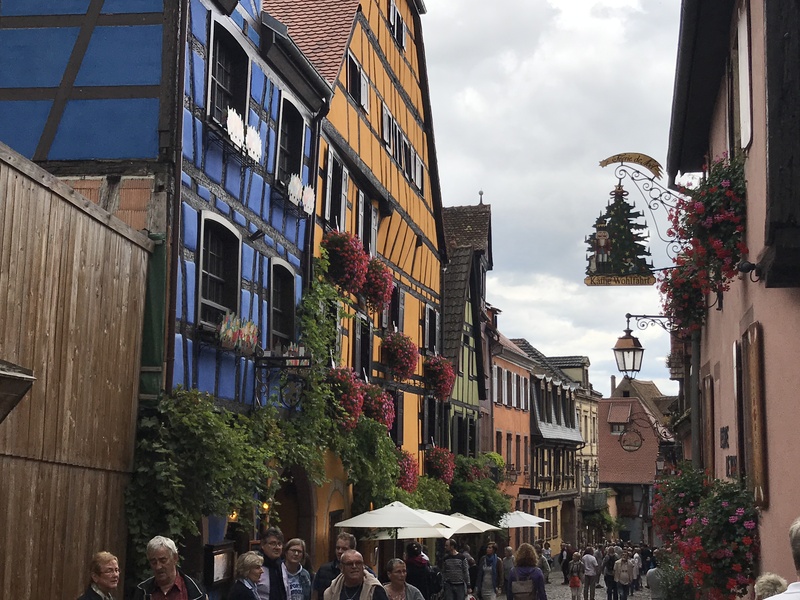 In Eguisheim, our second village, we tasted more great wine and ate lunch. 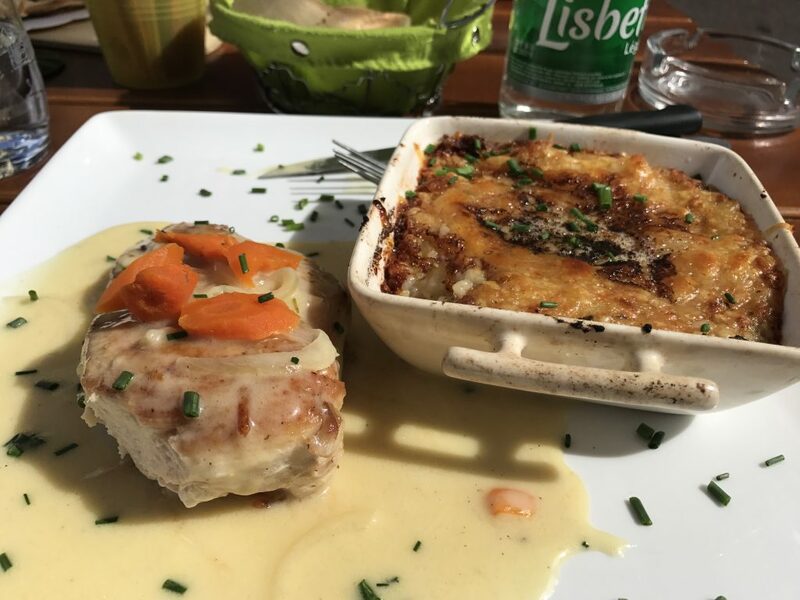 I enjoyed wonderful chicken with Riesling sauce, an Alsatian specialty. 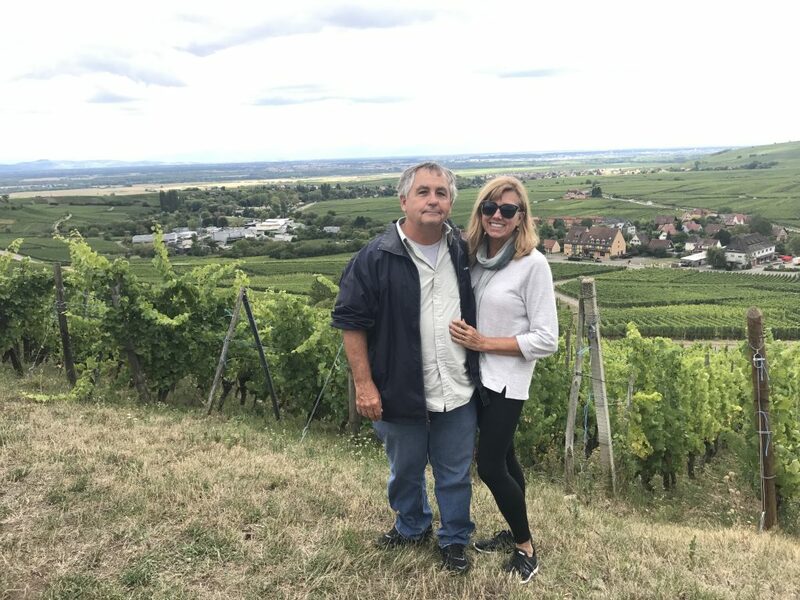 Our third stop, the Jean Becker Winery, an organic winery in business since 1610 in Zellenberg, was my favorite. 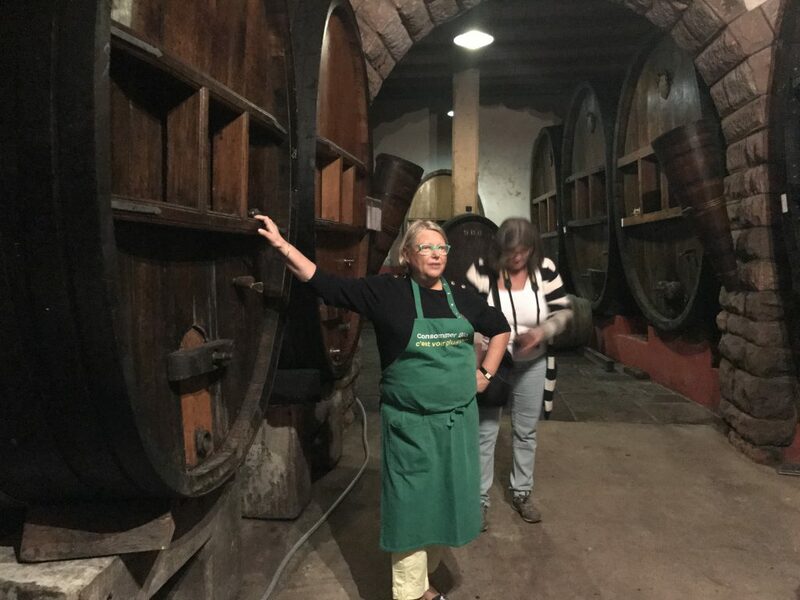 Martine, descendant of the winery founder, conducted the winery tour and tasting. She charmed us with her knowledge and stories about wine history, pairings, and culture. 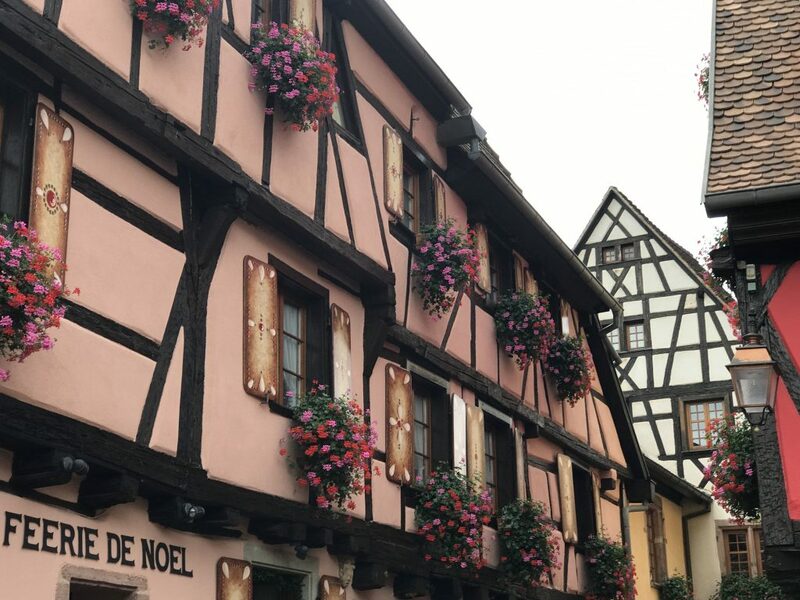 Just when I didn’t think the villages could get any cuter, we made our final stop at Riquewihr, the loveliest village of the day. Our final tasting stop was at the Madison Zimmes Winery in a building that dates from 1679. A German group provided unexpected entertainment when they started singing each time they tasted a new wine. I learned a lot about Alsation wine today. Riesling wine can be dryer and tastier than I thought. and the little green wine glass at the restaurant last night is a traditional Riesling wine glass. This entry was posted in France 2017 on September 10, 2017 by debbie.